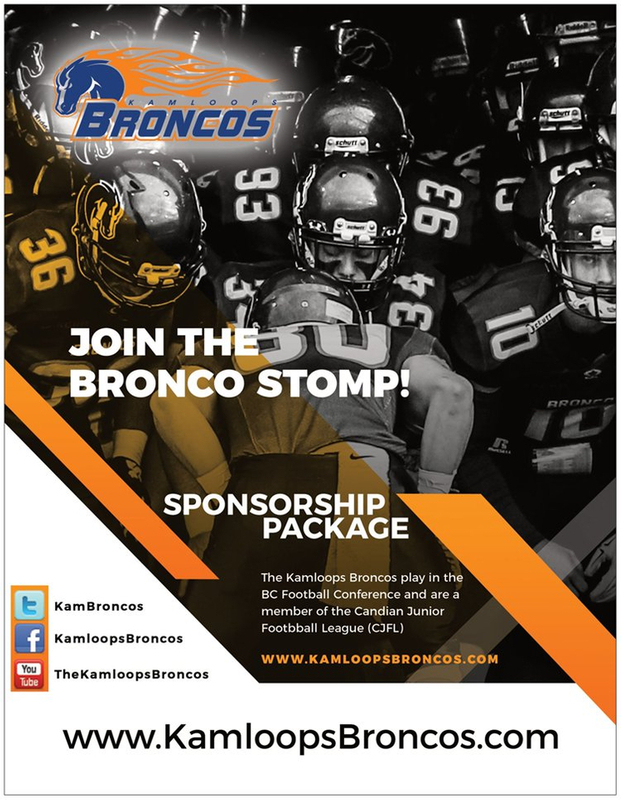 There are multiple ways to support the Kamloops Broncos or an individual player. 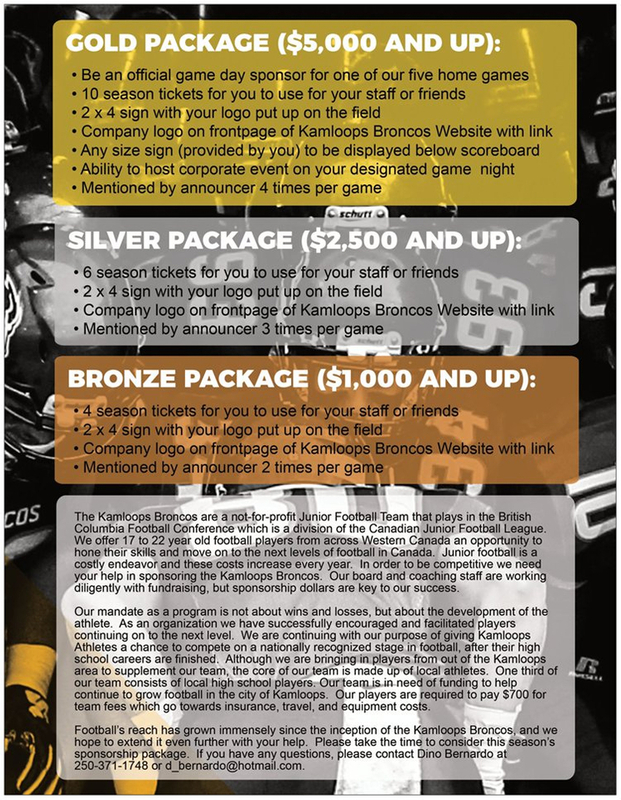 The Draft A Bronco Program provides a unique opportunity for a business or family member to sponsor a specific player. Download the Draft A Bronco Info package by clicking here. There are also some larger sponsorship opportunities available as illustrated below.